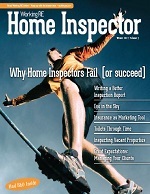 Editor’s Note: Inspector Tom Sullivan explains how he keeps his clients happy. There is one simple service that can contribute mightily to great customer service for your company, and a great customer experience for your clients, that might surprise you: offering a home warranty. There are many well-known benefits to offering warranties with your home inspections, including protecting you from liability, giving you a leg up on the competition and helping you create a great experience for your customer. Here are a few real life stories. Tom Sullivan, home inspector and founder of Inspec10 in AZ, shared his experiences with one warranty program, The Complete Protection (CP™) 90-Day Guarantee, that OREP provides discounted access to for its insureds. The CP™ commitment to service is what attracted Sullivan to the warranty program as an additional benefit to his customers. The program has an A+ BBB rating ( just like Inspec10) and offers benefits that many warranty programs do not. For as little as $12.50 per warranty, you can roll this benefit right into your inspection fee, offering a service that does not affect your bottom line. “Most warranty programs usually have a 30-day exclusion, meaning everything that breaks within that time period is considered ‘pre-existing.’ CP does not do that. They cover 90 days from the date of inspection or 30 days from close of escrow (whichever is later). I like to think of it as a form of gap insurance for me and my clients.” Sullivan says. The Complete Protection program includes a number of features, such as no age restriction on appliances or heating & cooling systems, no limit on mechanical repairs, and 24/ 7 customer service. Unlike other programs, all claims are done over the phone without having to submit any documentation in order to receive service. Also, there is another aspect of the program which Sullivan finds unique: you can use your own contractor for repairs, rather than a recommended professional. “It really has been a positive experience, both for me and my customers.” says Sullivan. Everything can appear perfect in a marketing brochure but what about if there’s a claim? That’s when it counts to have a solid warranty in place, according to Sullivan. He has experienced this as well, and says that CP™ handled the entire claims process with excellence. Sullivan mentioned another recent incident in which CP™ took positive steps to address an issue. After closing on a home, the buyer had an 18-year-old air conditioning unit which needed to be replaced. The buyer received an estimate from their contractor, which was very steep. They notified CP™, who immediately offered to contribute money towards the new unit. The incident was eventually resolved by CP™ sending their own contractor to the home (at no charge to the buyer) who replaced the unit. These situations gave Inspec10 the opportunity to provide better service, or what Tom calls a “seamless experience” for buyers. And who wouldn’t want an opportunity like that? In addition to providing his customers with a warranty, Sullivan and his team have found other ways to differentiate Inspec10 as a local leader in the inspection industry. Their philosophy is rooted in service, both to their customers and their own employees. And even their name, Inspec10, was engineered with a very specific idea in mind: to perform the best inspections—a 10 out of 10! How do they do this? One example is their inspection reports. Rather than a 30-page report, Inspec10 produces a copyrighted report that’s 13 pages long, includes images and color-coding, and is free of technical jargon or confusing language. There are plenty of other things they do to set themselves apart, such as offering flexible pricing and discounts to military personnel and first responders. They require a high level of training for staff and keep in close communication with former customers to keep their business name top of mind. Adding a warranty fits in perfectly with these strategies that helped make Inspec10 a solid success. It can serve as an excellent way to tie together everything that you do to succeed—nurturing relationships, stressing service and quality. Details about the CP™ warranty program can be found at OREP.org/warranty with the lowest prices available nationally. The program is open to every inspector. 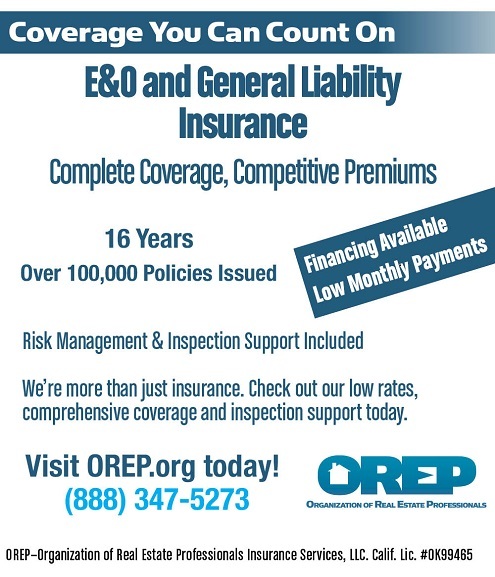 OREP insureds enjoy a discount on every warranty, which can add up to real savings over the course of a year. 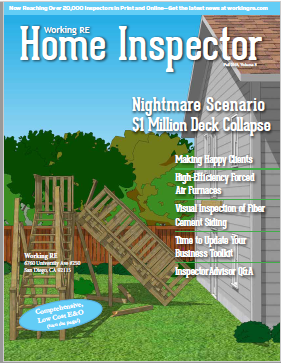 Note: The Summer 2018 issue of Working RE Inspector mailed to over 20,000 home inspectors nationwide. OREP Insureds enjoy guaranteed delivery of each print magazine and many more benefits. Is the home warranty program offered in Massachusetts?